I love the Pacific. It’s the ocean I grew up visiting and up until my early 20’s it was the only salty water I had ever been in. But once I found myself in clear and calm Caribbean waters I realized that I had a whole lot more love to go around. 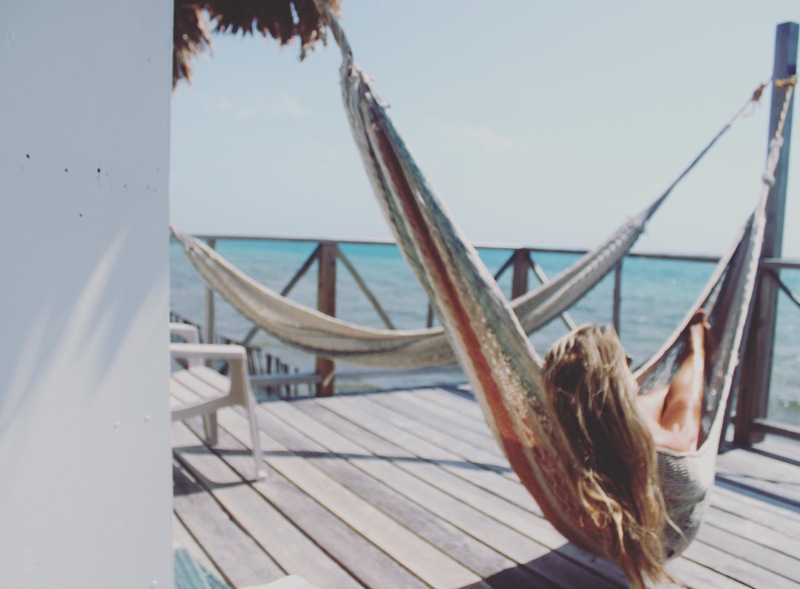 We planned a quick trip to Belize in September when Ryan was feeling like he needed a little break from work. Those 14 hr days, 7 days a week can really take it out of a person. But thanks to Groupon Getaways and award tickets on American Airlines, we had a last minute and amazingly affordable trip. 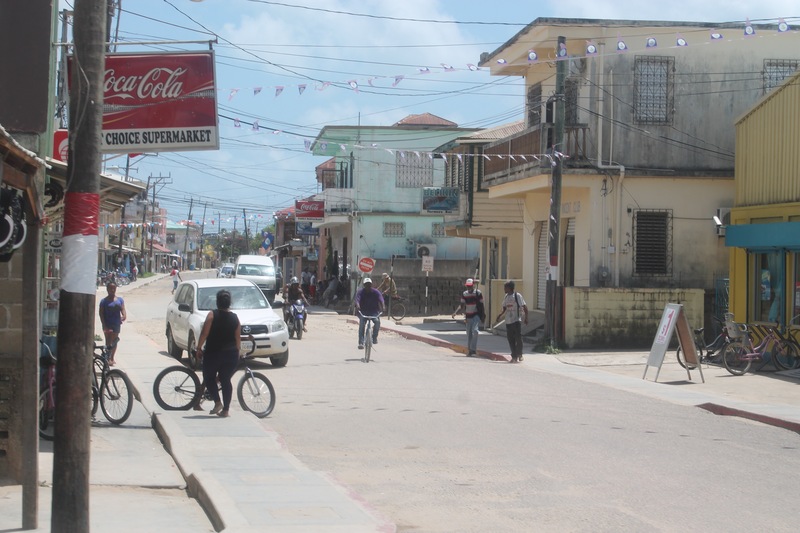 We landed in Belize City and hopped on a puddle jumper to the town of Dangriga. This was where we would meet our transportation that would take us to the small island we would call home for the next week, Thatch Caye. “Big D” picked us up from the Dangriga airport and we needed to kill a little time. So in friendly Caribbean fashion he drove us around town and pointed out the homes of his family and where he grew up. The colors of Caribbean homes are the best. All the flavors of cotton candy together on a block. He dropped us off at a local hotel where we enjoyed some domestically produced Belikins, a pretty good cheap beer. 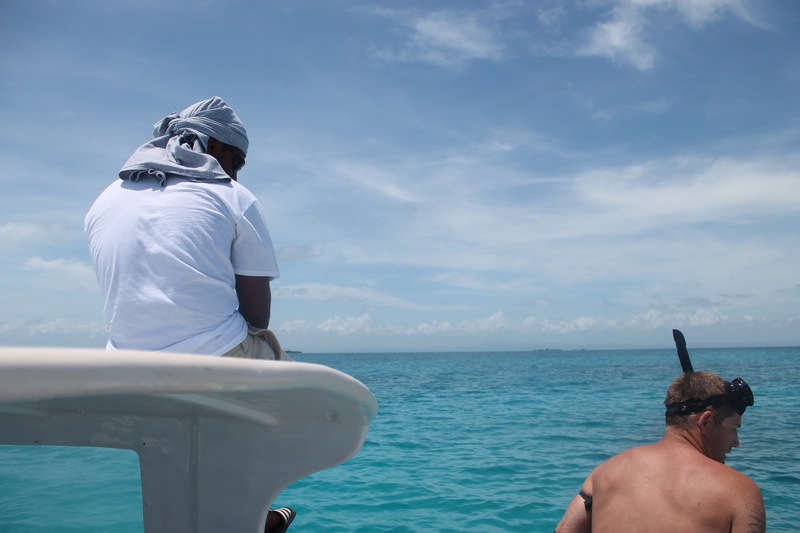 After about a half hour we paid the check and boarded our panga for a short 6 mile ride out to Thatch Caye. 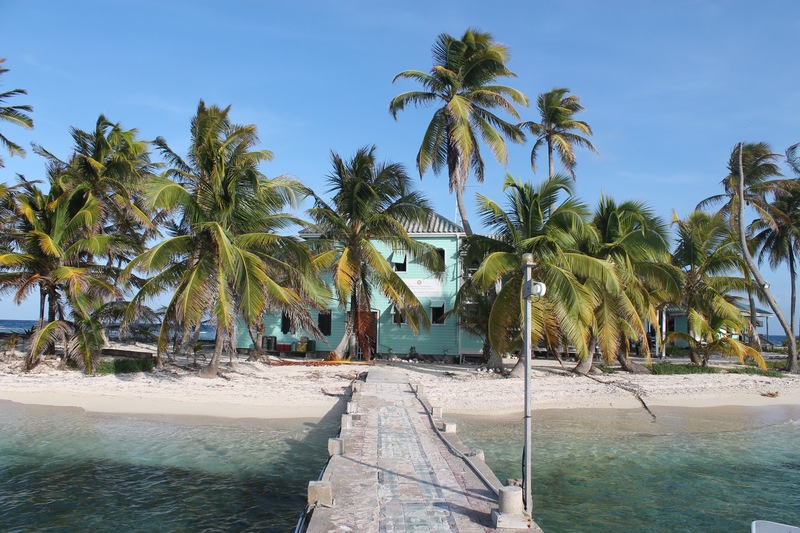 Thatch Caye is a tiny little island nestled inside the Belize Barrier Reef. It has one large palapa that houses the main bar and breakfast area. All other means are served outside al fresco by wonderful staff. The cuisine was limited, which is to be expected on such a small island, but very good. Accommodations weren’t luxury but the view from overwater bungalows offset any negatives we might have had. Each bungalow had its own deck and hammocks- which to me is the better than high thread count sheets. The water off the island isn’t crystal clear due to the sandy bottom and seagrass but a quick 15 minute ride out near the reef ensures amazing clarity and sea life. The reef did not disappoint. Countless numbers of rays, fish, lobster and dolphins were all around us. 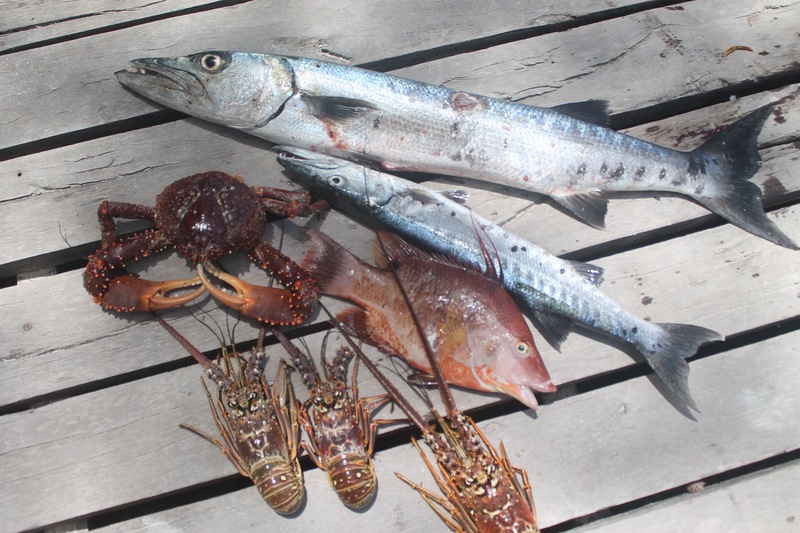 It wasn’t strange to see huge grouper and barracuda. 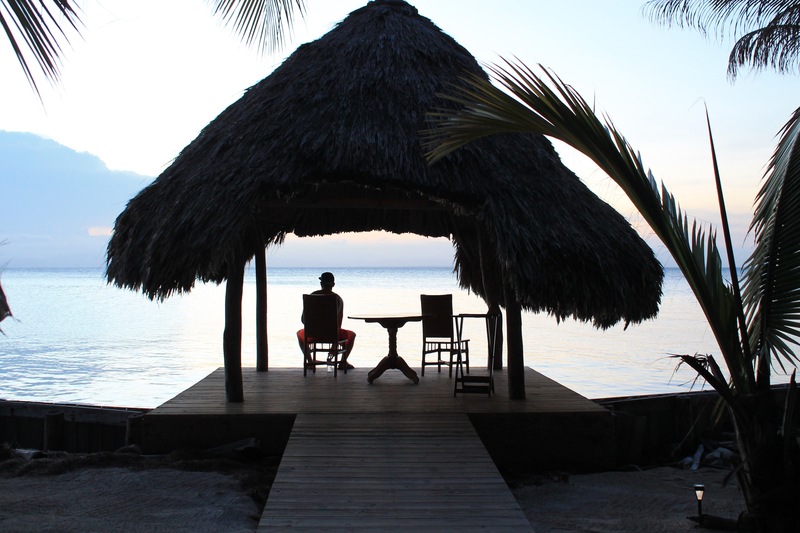 The biggest bonus of Thach Caye is that only a limited number of guests can be on the island at once. I’m talking like 20 people at one time. If you don’t want to see anyone that day, you really don’t have to. 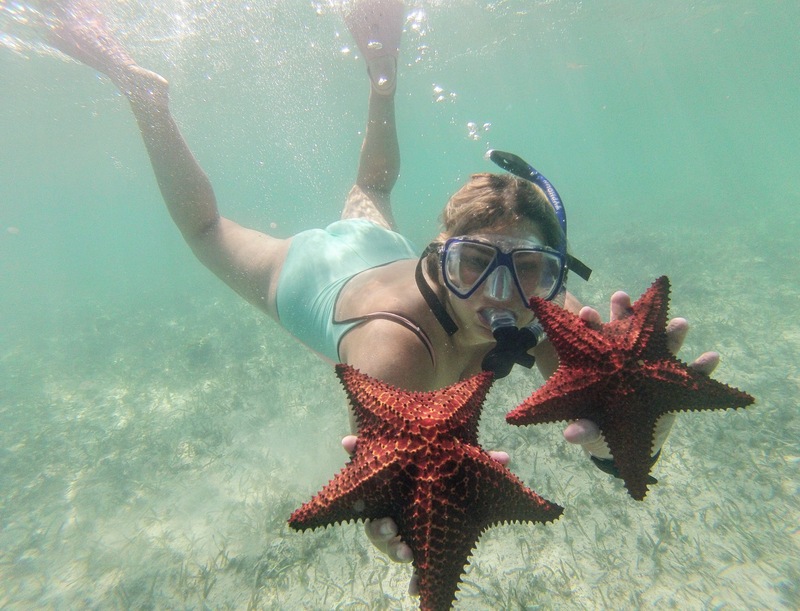 Most of our time was spent in the water, but we did take the time to visit Tobacco Caye and the Carry Bow Cay Fieldstation. Our nights were spent counting the stars laying in our hammocks while watching huge lightning displays surrounding us on the horizon. 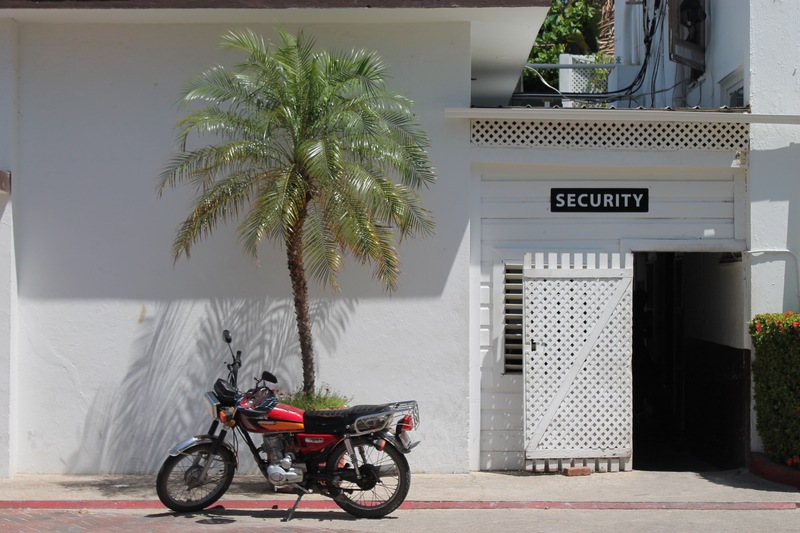 If you haven’t been to Belize, it deserves to be on your list. And if you go, Betta no Litta.